Kiili, C., Kauppinen, M., Coiro, J. & Utriainen, J. (2016). Measuring and Supporting Pre-Service Teachers' Self-Efficacy towards Computers, Teaching, and Technology Integration. 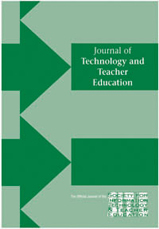 Journal of Technology and Teacher Education, 24 (4), 443-469. Waynesville, NC USA: Society for Information Technology & Teacher Education. Retrieved April 26, 2019 from https://www.learntechlib.org/primary/p/152285/.